Forex trading is something similar money. There is no doubt that the Forex trading is billions worth of industry, where even a dime can turn into a gold bar in a day. However, it’s not that easy because there are competitors and experts whom you are competing against, which is hard. You cannot beat the experts, who have data and knowledge, which helps them to keep themselves on the top of the industry. You cannot beat them unless you have knowledge of what’s going on in the industry. You can thank the Internet for giving an opportunity for brands to provide you the best solutions you can get for free-of-cost. 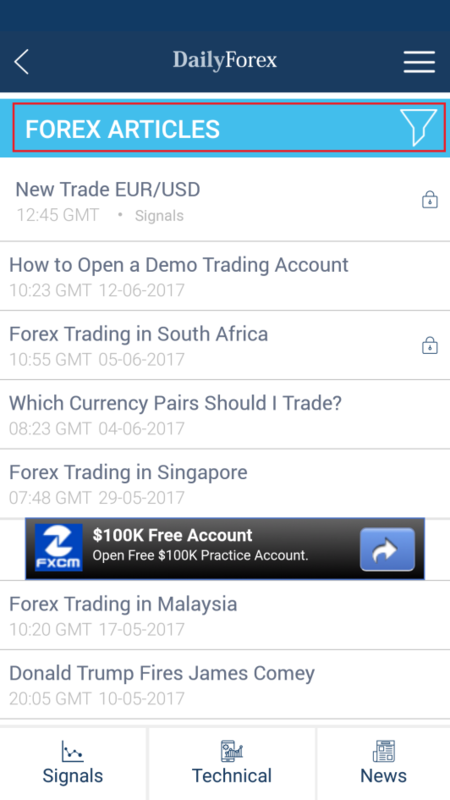 DailyForex started as a website in 2006, and now they have their Android app to help people like you, who prefer to keep an eye on the market to scale it to your advantage. 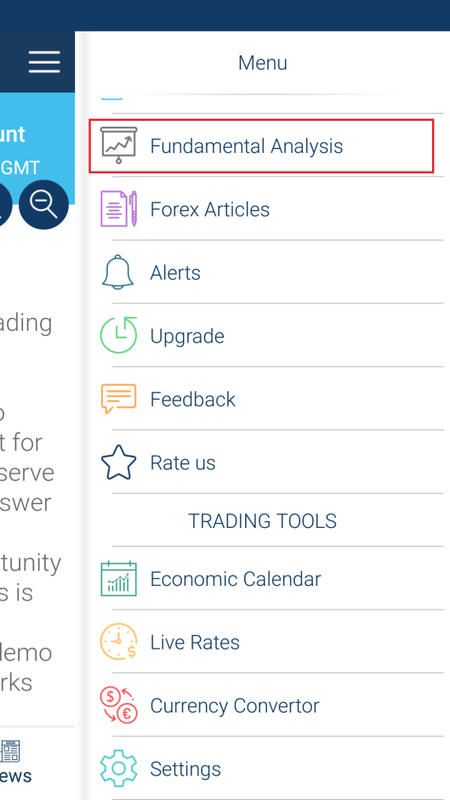 Now you might be wondering, why the DailyForex app is worth using as a primary source of Forex Industry? 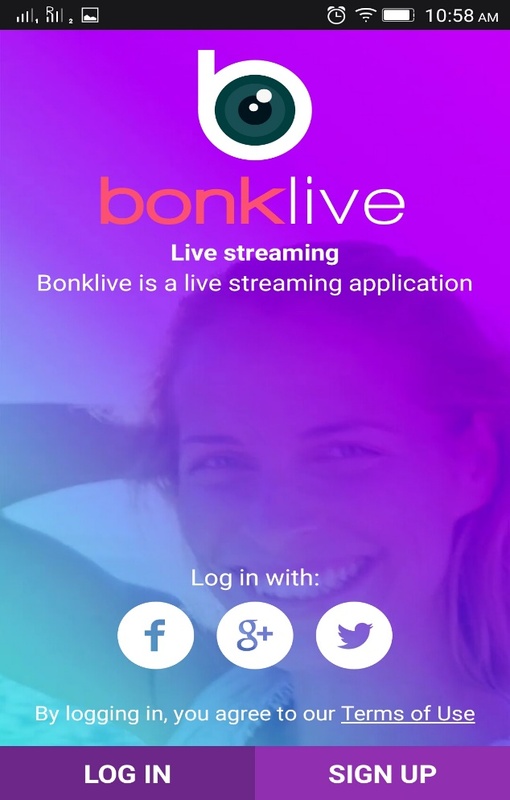 After testing the app and the services, here’s my review on features. Successful people like to keep an eye on the trades in the Forex Trading business to take advantage of ongoing business sales. 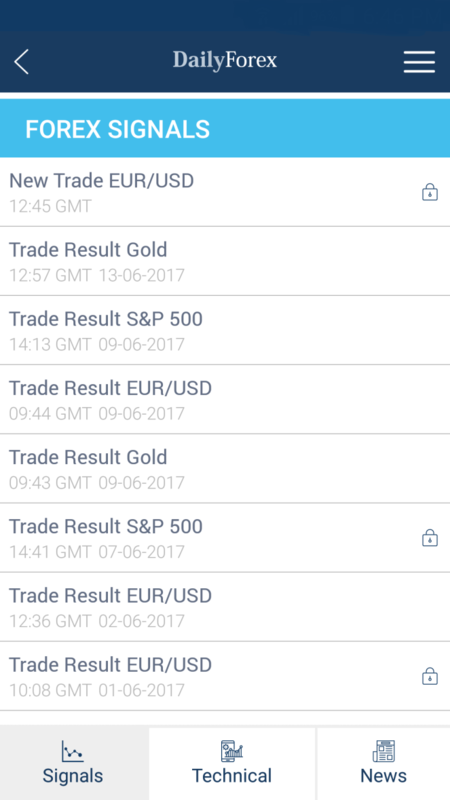 Forex Signals options enable you to take a quick look at the recent trade deals such as EUR/USD, Trade Result Gold, S&P 500 and more. Technical analysis is something you should check if a recent trade has caught your attention because it gives you an inside look at the trade, which helps you to understand the potential of the business. 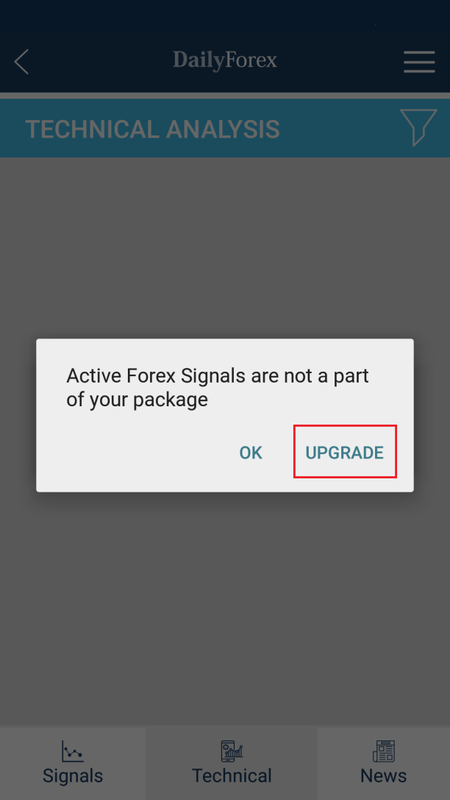 However, you have to subscribe to the DailyForex premium service. What would the world do without NEWS platform? The world has revolutionized with the Broadcast & Paper News. 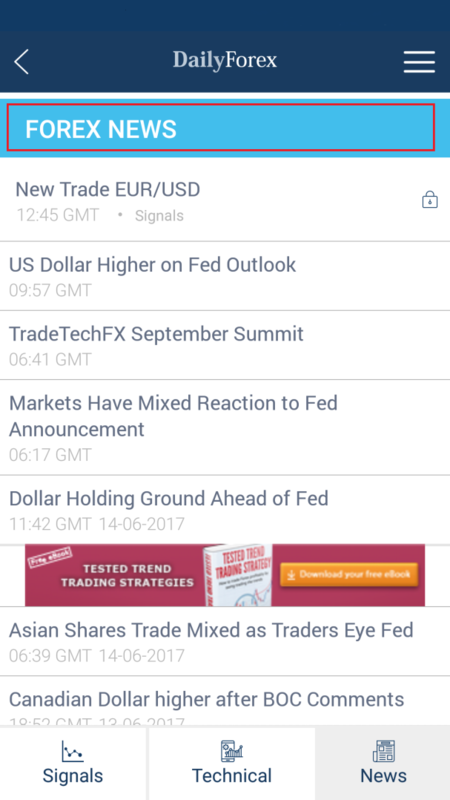 Same way Forex News allows you to keep up with the latest changes happening in the industry. From announcements to prediction, anything can be expected in the news feed. Don’t you want to keep yourself posted on who is on top? 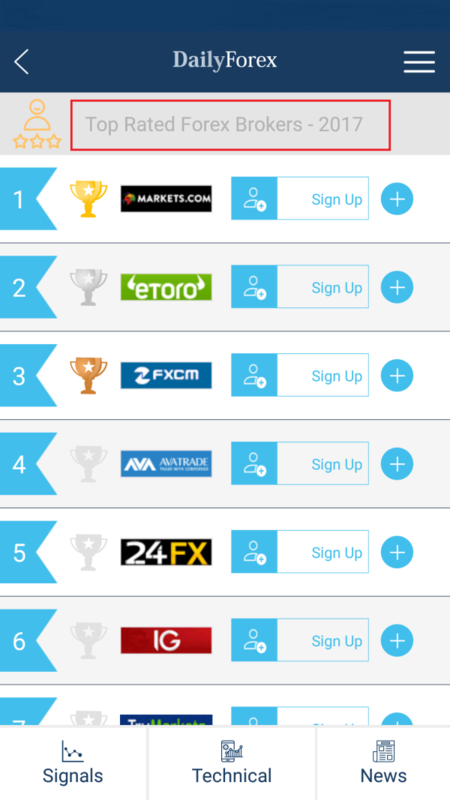 This is where you can find the Top Brokers in the industry. Not everyone is born genius, so for those who are always open to learning something new should check out. 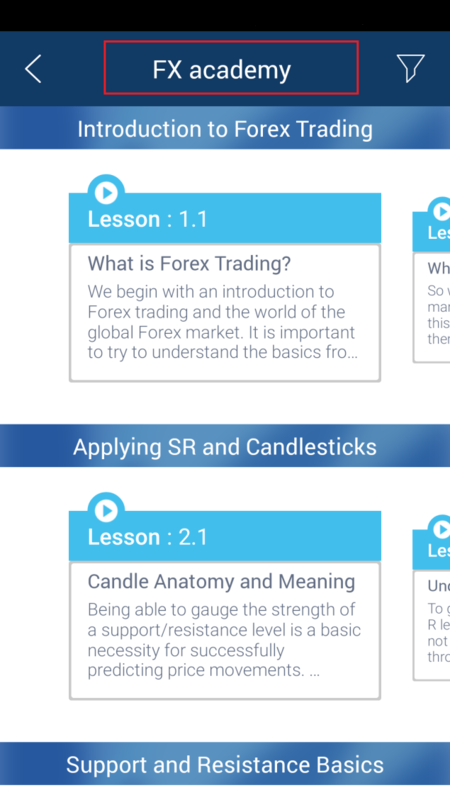 If you want to teach your students or yourself about the Forex Trading, then DailyForex has opened “FX Academy,” which helps you to learn about the Forex Trading. Yes, in short, you can access Videos tab in the three line menu and access News on important news or information on Youtube, which is fabulous. Step 1: Tap once on the VIDEO. 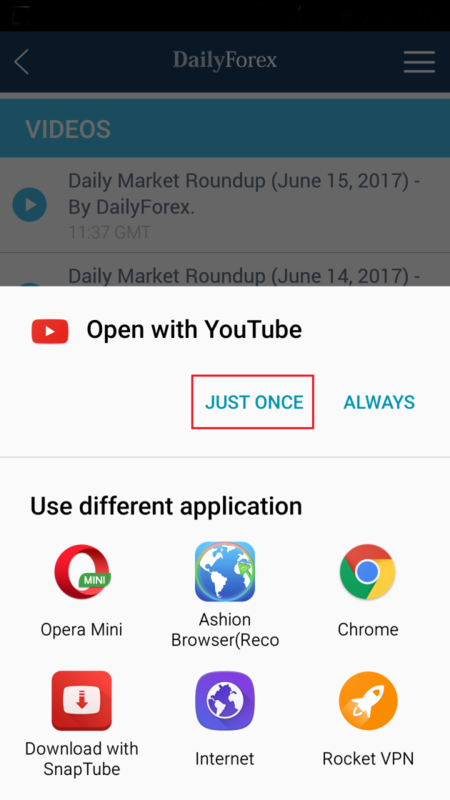 Step 2: Select the app you want to open the video on, I have selected YouTube app. Step 3: Watch the VIDEO. 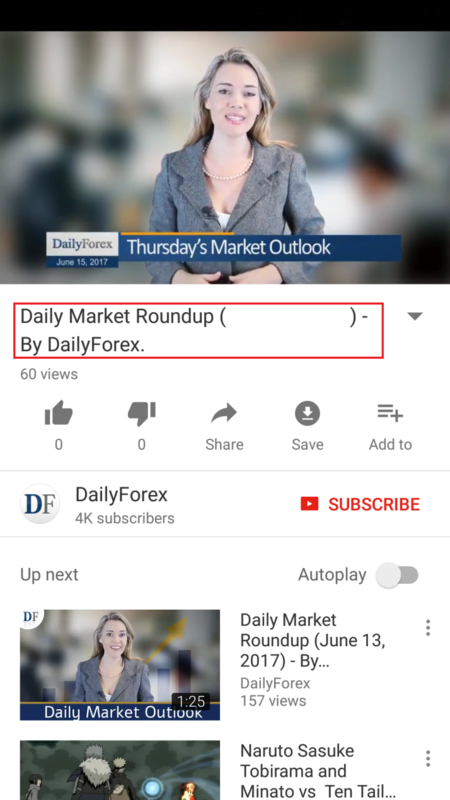 There are several ways you can find the Growth or Fall of a trade but if you want to take a quick look at the Analysis, then DailyForex does provide you an in-depth analysis on it. Back in 2010, there were only one million articles were posted a day, said by Google but today, more than one billions words of articles published each day revealed by Google. 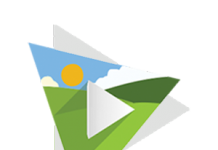 The importance of the articles has proven enough to create a billion dollars worth industry. 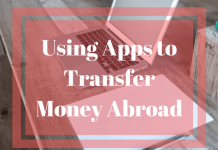 They are instrumental and give you potential information that can change the way you think. 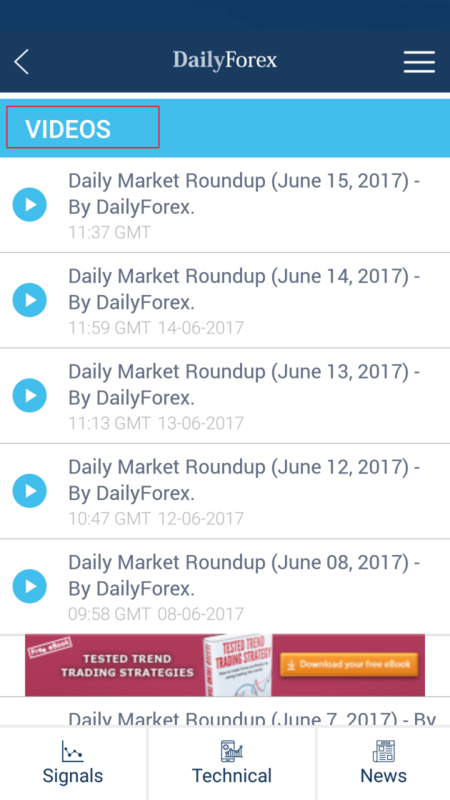 DailyForex publishes interesting and helpful articles on Forex each day to add more value to your knowledge. 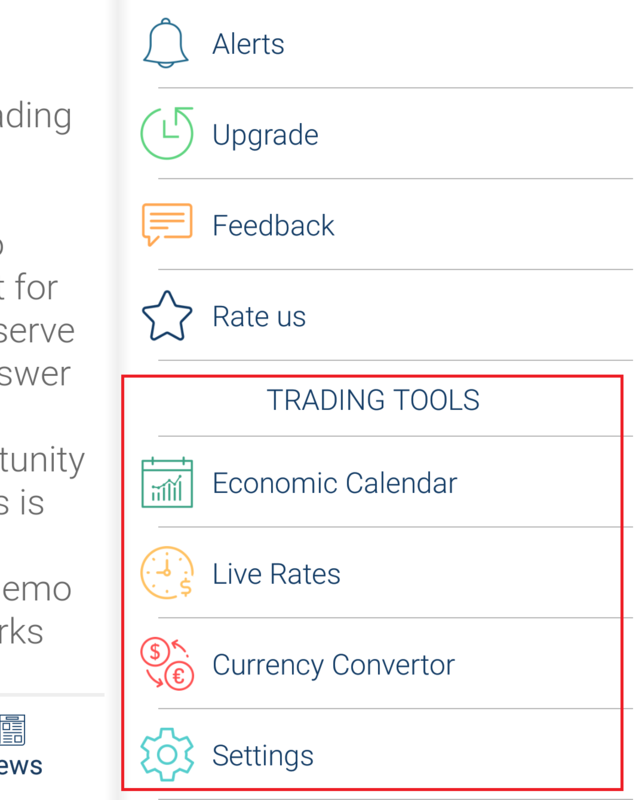 The DailyForex app comes with trading tools, which cannot be explained in mere words unless you try it yourself. Give it a shot because it’s worth trying. 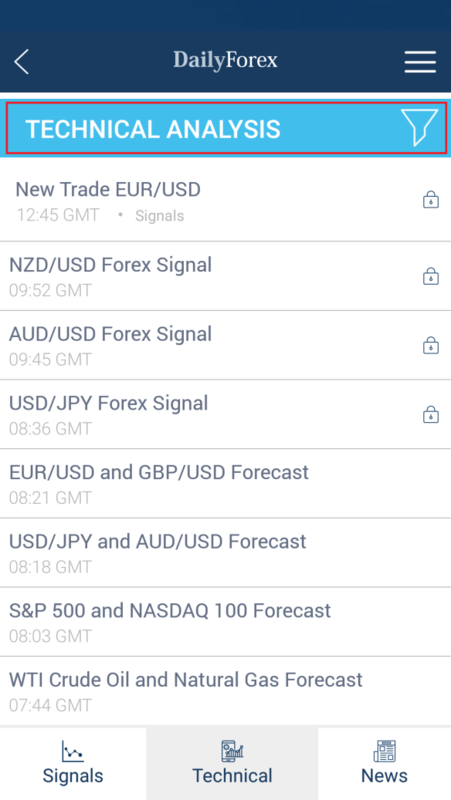 There might be many Tools and Apps are available on the Store but DailyForex has been in the industry since 2006, and they know what’s trending and how to make things useful for you. They have a team, who are always grinding to make your business better. 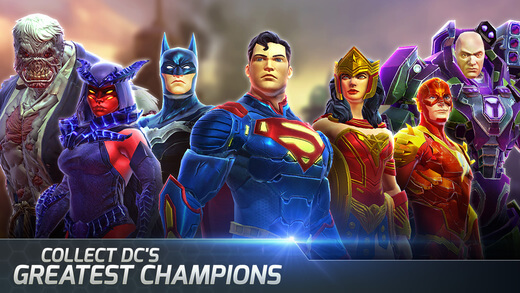 Let us know your thoughts and experience in the comment section below.